A relaxing trail ride turns tragic when Paramedic and Deputy Coroner Zoe Chambers discovers the body of a popular county commissioner in her Pennsylvania woods. Inconsistencies surround the horrible accident, but before she can investigate further, she’s pried away by a plea for help from her best friend whose son has been deemed a person of interest in a homicide over a thousand miles away. When he vanishes without a trace, his mother begs Zoe to help clear him and bring him safely home. 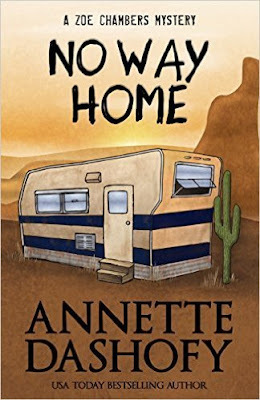 The task takes Zoe out of her comfort zone in a frantic trip to the desolate canyons and bluffs of New Mexico where she joins forces with the missing boy’s sister and a mysterious young Navajo. Back at home, Vance Township’s Chief of Police Pete Adams must deal not only with the commissioner’s homicide, but with an influx of meth and a subsequent rash of drug overdoses in his rural community. Bodies keep turning up while suspects keep disappearing. However little else matters when he learns that half a continent away, a brutal killer has Zoe in his sights. In this book Zoe Chambers is working with horses when she discovers a horse returns without it's rider when she and Allison her friend's daughter go looking they find the commissioner and he's very dead. While this is going Pete Adams is called to the scene of a death of drugs resulting in a young girls death. Can they figure out what is going on? Or are drugs taking over Vance Township? Add that to Zoe Chambers gets called away to New Mexico to help her friend find her son when his girlfriend winds up dead, where is Logan and what is happening in New Mexico? 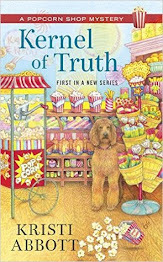 This book was great and lots of intrique reading it as we are brought back into Zoe's world and to see what is going on with Pete and Zoe and her friends in this one bodies are turning up and Pete and Zoe have their hands full figuring out what is going on especially when Zoe ends up in New Mexico finding out what happened to Zoe's friends son Logan and why he's not answering his cell phone. 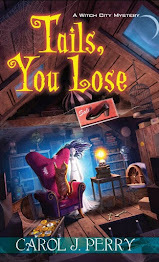 I love going back and I think others will enjoy this book with it's mystery and adventure and seeing how it turns out. This book is great as a stand alone or part of the series. Definitely great read for cozy lovers! Can't wait to see what is next for Zoe and her friends! I like when a hero/heroine must go out of their home zone to solve a case.